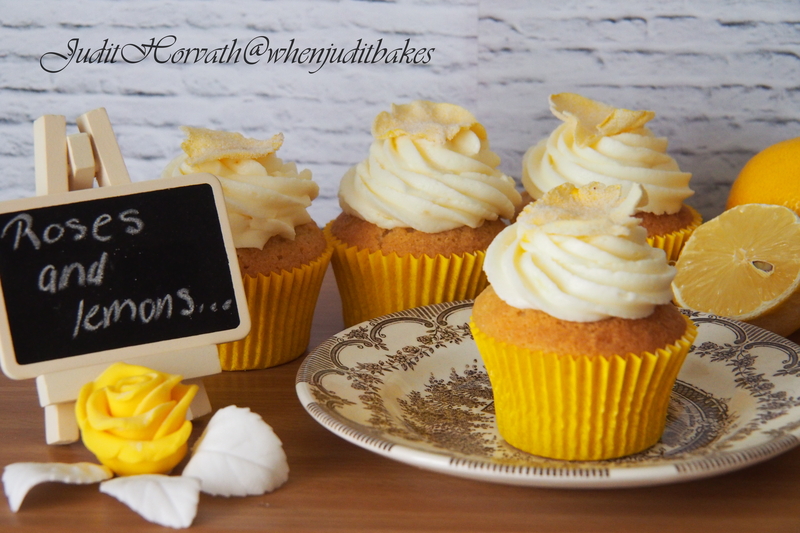 Romantic Elderflower and Rose Drizzled Lemon Cupcakes | When Judit bakes...bread and better..
Summer is a wonderful month filled with flowers, fruits that turns the great outdoors into a land of promise. Using the flavours of this land produces unexpected, unusual, bittersweet but extraordinary edible combinations. Foraging leads the curious explorer to exotically scented cream-coloured flowers on dark-emerald-velvet foliage (some foragers fail to identify the scent and the plant they are approaching and collect hemlock that can be fatal mistake). Similar motivation turns the foraging collector to lead the modern discovery of baking and utilize their pick in luxurious baking. To be true to the nature as well as to the self it is important to take no more than a few flower heads from each elderberry bush so to ensures that the bush will be able to recover and spread and this informed, selective picking means one can return in a few months to harvest the berries. Collect the flower-heads in a breathable paper bag as plastic will make them wilt and sweat. Preheat the oven to 180 degrees Celsius and prepare 24 cupcake cases. dd egg one by one and each addition followed by a spoonful of flour, whisking thoroughly between additions to prevent curdling. Sift the remaining flour over the mixture, put in one handful of elderflower, then gently fold in with a large spoon along with 2 tbsp hot water. 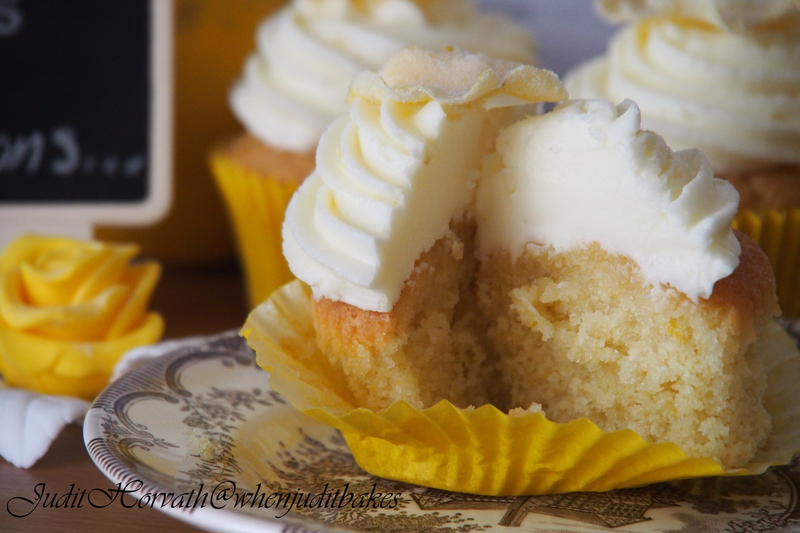 Spoon into the prepared cupcake cases, and bake for 22-25 minutes or until it springs back when touched on the top. (A fine skewer inserted in the center should come out clean.) Cool in the tin for 5 mins. Squeeze the lemon juice stir in the cordial and elder flowers. Use the fine skewer to prick the cupcakes all over (being careful of not to pierce the bottom), pour over the syrup then sprinkle over the sugar – it should sink in but leave a crunchy crust. Leave to cool completely, before decorating. 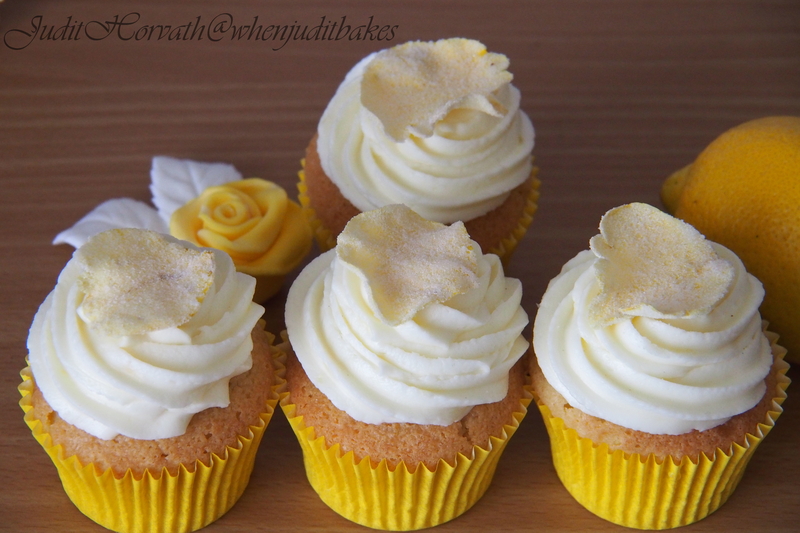 Pipe lemon zest flavoured butter-cream on the top and decorate with crystallised rose petals. Pick off the flowers from the stalks into a large bowl or bucket that will hold everything (remove as much of the stems as possible as they are toxic and although a few stray bits of stems will not harm, but it should be minimized). Add rose petals and rose extract. Zest the lemons and add it to the bowl, then the citric acid and lemon juice. Bring the sugar and water to a boil, stirring occasionally to dissolve. Let the syrup cool to room temperature and pour the syrup over the flowers, petals, lemons, and stir to combine. Cover the bowl or bucket with a towel and leave it for about 2-3 days. Finally strain it through a fine-meshed sieve lined paper towel into a clean jar. Seal the jar and store in the fridge. 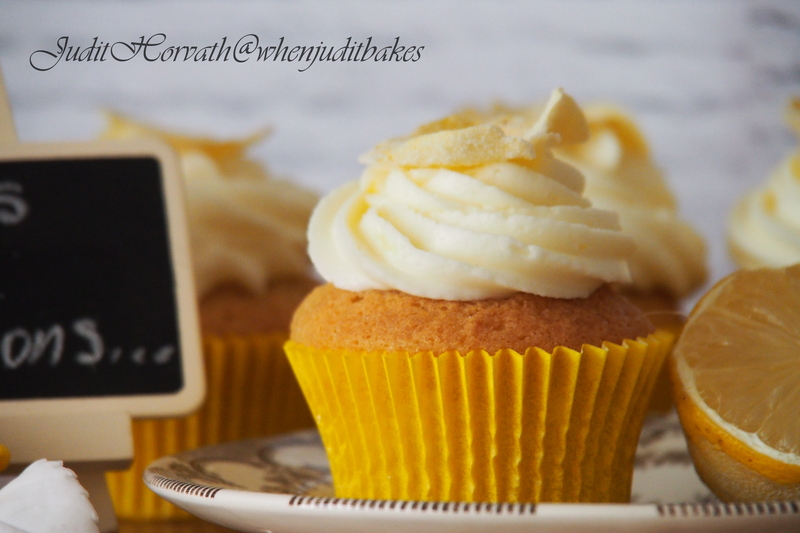 This entry was posted in Cakes, Cupcakes, Foraging, Just Everything, Sweet Bakes, Treats for Life and tagged dessert, elderberry bush, self raising flour. Bookmark the permalink. 1. I love the quotes you include in each post “If life were predictable it would cease to be life, and be without flavour.” – so true. 3. Incredible baking goods (although I cannot taste, the description and photos look delicious). Very well done, once again! Cheers. Thank you again for your kind words! A book? I would love that! Love, J.